​Think skiers in cowboy hats and you’ll have a pretty good mental picture of Steamboat Springs in northwestern Colorado. Yes, there’s world-renowned skiing here, but with an undercurrent of cowboy culture. The wide-open Yampa Valley brought cattle ranchers here in the 1800s, and the town’s signature store still sells Western wear. Like many of Colorado’s most attractive towns, Steamboat Springs has great hot springs. The hot springs in Steamboat are down an adventurous drive north of town that brings you to a riverside canyon in one of the most perfect soaking settings imaginable. In fact, the town got its name from its famed water works. Fur trappers who visited the area in the late 1800s heard the bubbling sound of one of the local hot springs and thought it sounded like a steamboat coming down the Yampa River. Favorite outdoor activities among visitors are a hike to scenic Fish Creek Falls, followed by a mountain-bike ride or hike through the surrounding parks and forests. On cool summer nights, everyone goes to Strings Music Festival, a summer concert series, or to the rodeo, which draws the future stars of the rodeo circuit. Steamboat is known, also, for its long-standing Western heritage — with a more than 100-year-old summer rodeo — and deep-seated ski heritage. 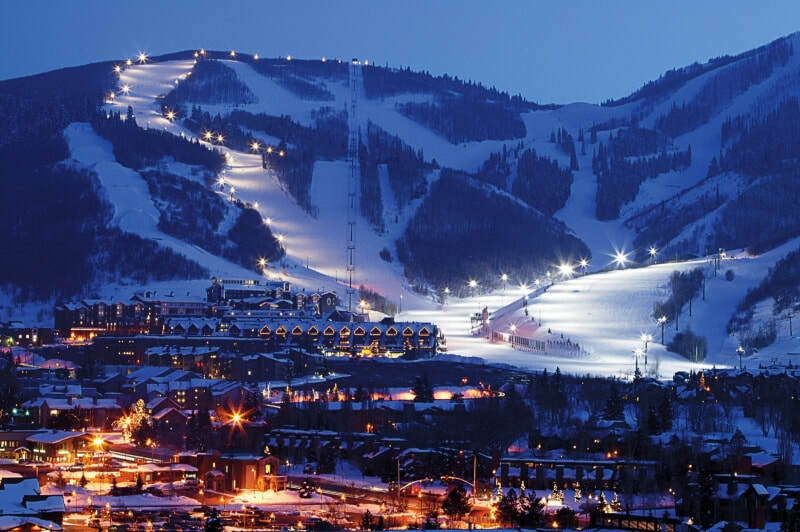 The town is home to two ski areas: Steamboat Ski Resort and Howelsen Hill, the oldest ski area in continuous use in the state of Colorado, as well as nearly 90 Winter Olympians who call the area home. Steamboat Springs is also home to hot-air balloons. Each summer, the town hosts its Hot Air Balloon Rodeo, with a multitude of colorful balloons rising over the valley, offering riders incredible views of the surrounding Rocky Mountains. There are quite a few reasons you might want to turn to a limo Steamboat Springs rental company to rent a limo. Depending on the event you are celebrating, where you are going, or how many people are going to be occupying the limo, with the best rental company you will get the most stylish and luxurious limos, for the most reasonable prices available. For business clients, if you do not want to wait for a taxi driver at the airport, or if you are flying a customer in for a meeting and want to amaze them, you can have the limo Steamboat Springs rental company driver waiting at the airport to pick up the client. Or, if you are planning to celebrate the prom with a group of friends, you can all pitch in and split the cost for the rental, and arrive at the prom in style. If you want to spend a night out on the town with friends, want to drink and enjoy yourselves, and not have to worry about driving, turning to a limo Steamboat Springs Rental Company is also the perfect solution for a night out. Or, if you are preparing for a wedding, and want to arrive at the church and reception in style, a limo is the best way that you can make a grand entrance to the festivities. Any of these or several other reasons might be reasons why you would turn to a Steamboat Springs Limo Rental Company for a ride. Making sure you contact the best local company is essential if you want to find the most affordable price for the rental, the best limos, the most polite and skilled drivers, and of course the amenities and features that you want to have in the limo, when you are planning your night out or Big event.